Just kidding. It's regular Wednesday and I need no reason to overshare. It was such a relief to read up on ADD and find out that my being overwhelmed in stores is part of the deal. I have always HATED shopping ... even when I weighed 100 pounds and clothing was easy to find and fit, I hated the choices. I love grocery shopping at Aldi and try to avoid those sections at the beginning and end where they cram 17,000 different, new, limited-time-only products all together. My brain feels like it's on fire when I have so many choices and I get pissy or shut down. You would think I would write down the one that worked for me but I never do and I would lose that piece of paper anyway. Perhaps a tattoo of my pad choice is in order. On the back of my hand. So are we talking wings or no wings? Short, medium or long? The pad that holds a trickle or the pad that holds a gallon? Here's the super overshare part. Pssst! Some women, after having a ton of kids or simply when getting older, have to also do the Skipper of the pad world DAILY. Yeah, I said that. Regular pads are the Barbies and the tiny pads are the little sister pads, the Skippers. Enjoy your new terminology. Why am I telling you all this? 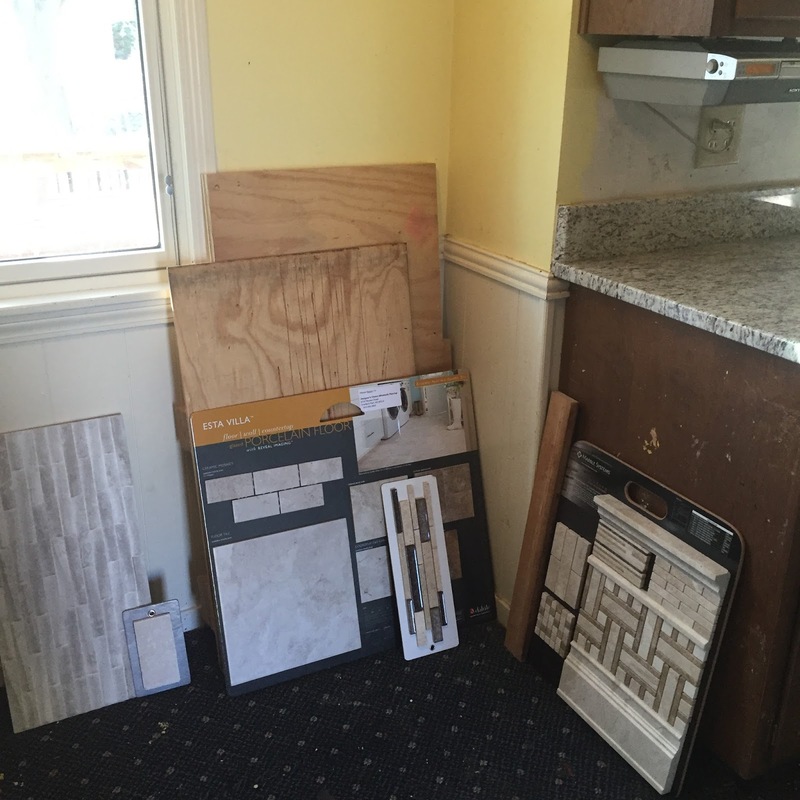 Because this past week my long-suffering husband and I have been looking for BACKSPLASH (needs a new word; I'll have to work on that one ... something like KITCHEN CATCHER because it catches all the popping grease and spaghetti sauce) tile. Gotta love the 57 trillion choices! 1. My eyes do not process color like the rest of the world. 2. Feel sorry for me because I was born without the gene that helps match things to other things. 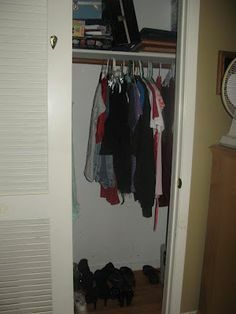 I recently realized my meager closet is basically black and white with some gray ... a couple of colorful, easy-to-wash dresses that all go with basic black shoes round it all out. This is a few years old and now I have fewer shoes and more black outfits. I'm one of those psychos who could wear the same exact thing every day so I don't have to worry about getting dressed and matching. *Warning: please do not speak to me about the Diva Cup. It's not going to happen. And tampons are also not happening. 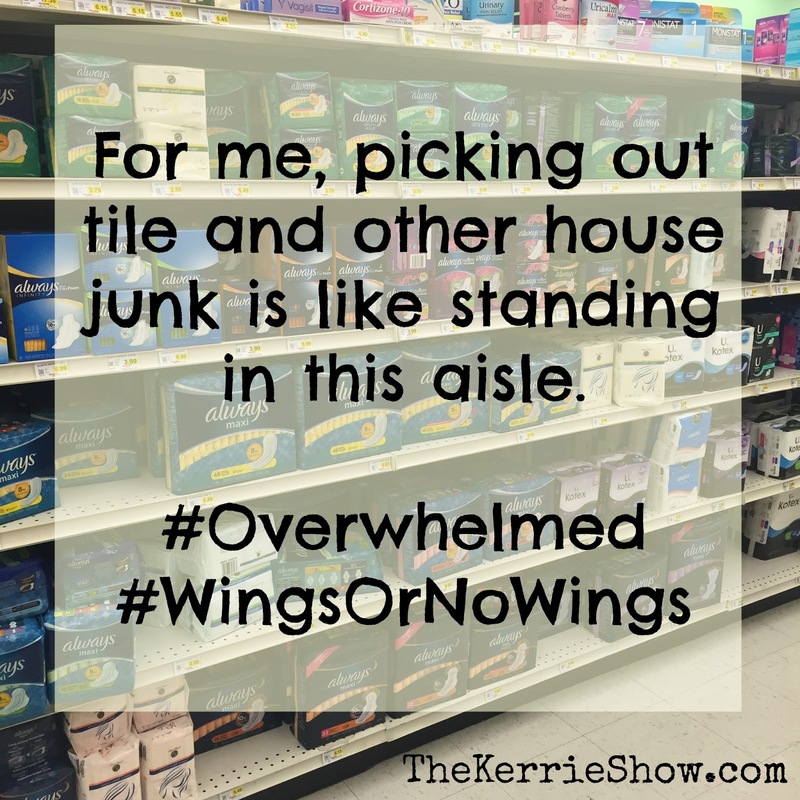 And they can leak so you also need the tampon's wing-man (pun intended), the mini pad. I personally like to slap on the appropriate pad and go live my life and I'm probably not going to change anytime soon. I would like to apologize to any male who stumbled upon this post and had no idea that THIS STRUGGLE IS REAL! 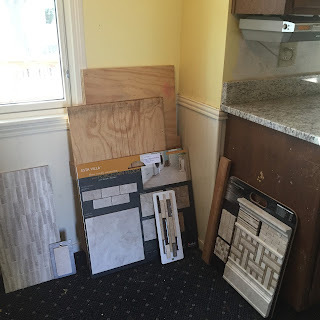 Here's a post from 2012 when we were stripping 76 layers of wallpaper in the kitchen we are now overhauling so we can sell the house. If this post did not make you vomit or throw your phone/computer, please consider signing up for an email subscription at the top of the blog. Thanks!